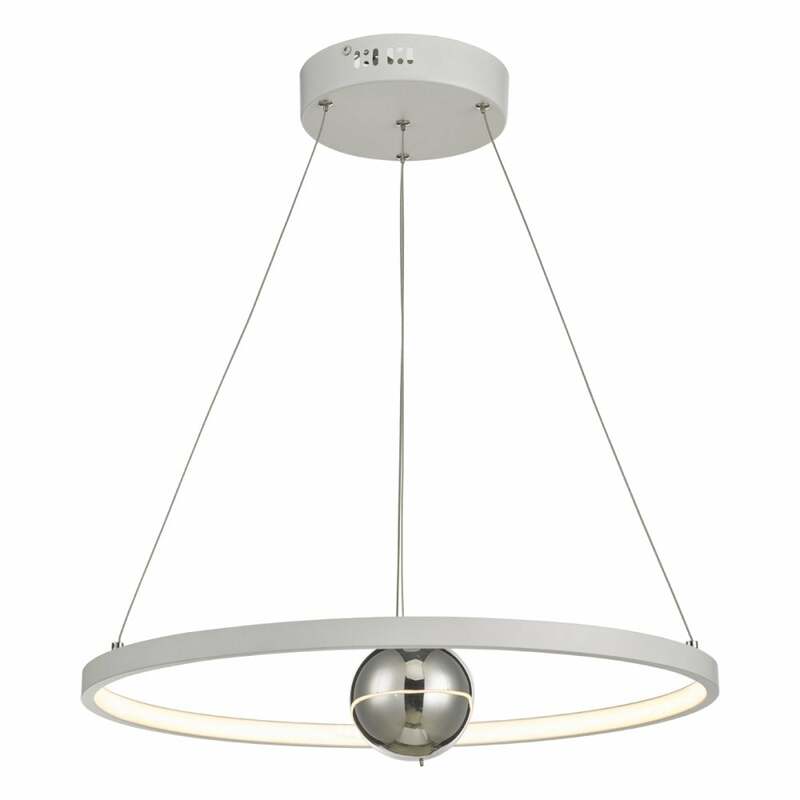 Dar Mercury LED ceiling pendant in white finish, a central polished chrome orb and integrated warm white LED. This ultra modern pendant featuring a larger outer ring tips a nod to science in it's design. The gyroscope feel to this light fitting is enhanced by the central prominent polished chrome orb, all of which is surrounded by energy efficient warm white LED. This product code is MER862. A smaller and larger pendant are also available to match.